This grizzly bear watches a fish swimming upstream. 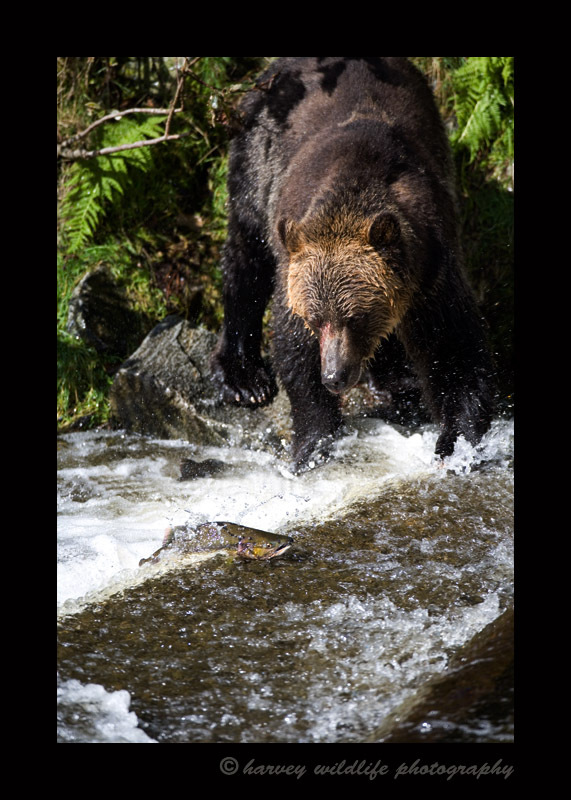 There are so many fish during the salmon run that the bears get picky and only chase after the females. They are filled with eggs. The bears will often eat the eggs and maybe the brains and often throw the rest away.